HomeStuffsThe Best The World God Only Knows Figures on Amazon	No ratings yet. The World God Only Knows, or also known as Kami nomi zo Shiru Sekai, is an anime that centers around otaku gamer’s life. When I first found this anime, I read some brief information on Wikipedia, and found it a bit unimpressive in character, art, and especially in plot. I even didn’t curious to reading the manga or buying its blu-ray. But still, I decided to give it a shot and found myself enjoying it! It’s really funny and has great quality of plot for harem anime show. I mean, a standard harem anime always have a naive, stupid, and cliche main male character who can attract so many hot girls without doing nothing. But Kaminomi is different. The main character, Katsuragi Keima, is a smart and tries to attract girl with some efforts. Here are the most popular The World God Only Knows characters on internet. Once again, I find myself to become one of this show fans, and I’m sure there are so many people who love this anime, too. That’s why, as a fan, I want to give you some recommendation to pick which character of The World God Only Knows figures that will work for you. Yes, we already know that to watching the anime alone will never enough, we need another physical items that will portray us as Kaminomi fans. Anyway, if you still not familiar with this anime, you can read our The World God Only Knows reviews on our different page. Researched from the biggest online store in the world, here are the best and the most recommended The World God Only Knows figures on Amazon for you! Sold by Max Factory, the Kaminomi series comes a 1/8th scale of PVC figure of Elsie, the clumsy cute demon who helps the main protagonist Keima as they try to capture bad spirits. She has been posed and presented floating in mid-air, just like a scene from the show itself. The stand she’s positioned on is modeled off the bottle that she uses to capture the bad spirits, and the fluffy pink raiment she wears around her neck can even be taken off whenever you want, letting you have the choice as to how you’d prefer to display her on your shelf or desk. This Elsie figure surely well made, quality is very wonderful, and looks nice. Despite the price can be a little bit high, if you are into this kind of merchandise, then it is value for money. The figure really gives off that light-hearted and clumsy Elsie vibe and the transparent raiment extremely sells the look. This The World God Only Knows figures compete with other figures twice its price and is a wonderful gift to any anime fan you know, especially yourself. 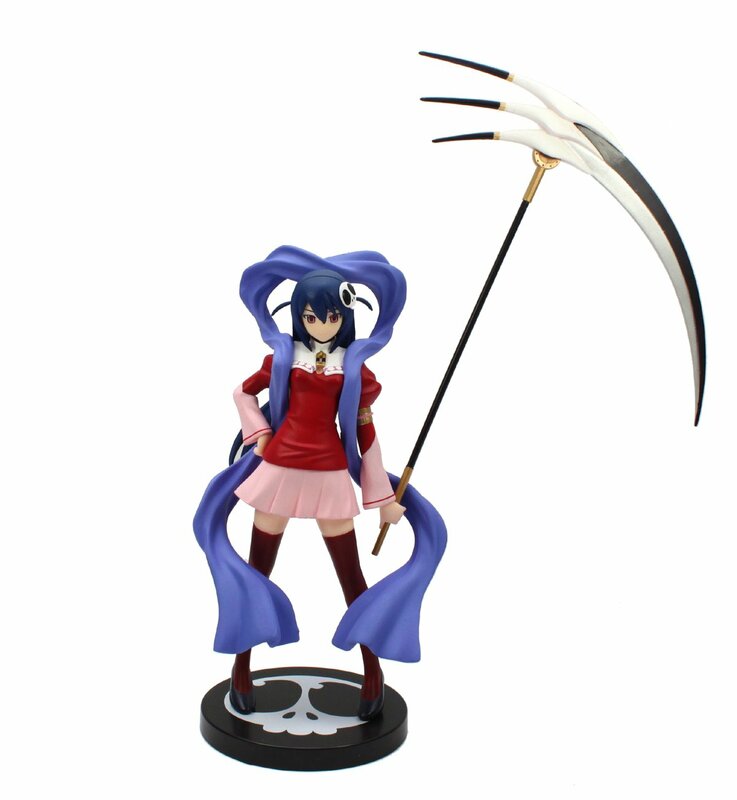 Sold by Sega, this intelligent demon Haqua figure is an officially licensed import product from Japan. It’s brand new and in sealed in box! The figure also comes with stand with approximately 8″ tall in size with stand. The Haqua figure itself is so well-crafted and painted to perfection. The weapon scythe can be such a excellent touch to the character itself. It appears to be a lot cleaner when its held downward considering that is the way it was meant to be displayed. Perfect figure and wonderful buy! Still sold by Sega, this Kanon Nakagawa figure is an officially licensed product and is imported from Japan. This figure is still brand new and sealed in box. In the series, Kanon Nakagawa is a popular idol and the third capture target. 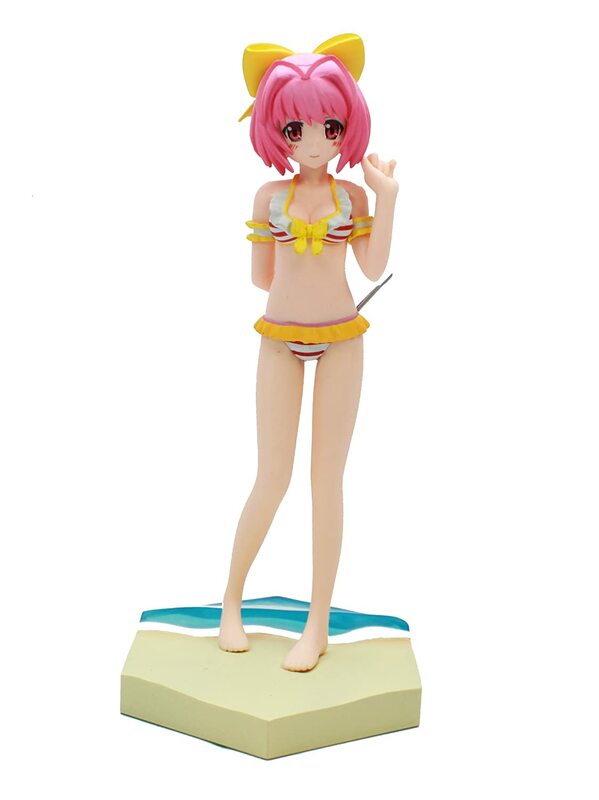 The figure itself is a swimsuit version and includes with a glasses. It’s so wonderful, especially her face. She’s making an adorable expression. The details is also a top notch, especially the sand and water. We sure you will love this figure, especially for any The World God Only Knows fans and you love Kanon Nakagawa as your favorite character. In addition to the great price, this figure can also be a perfect gift for anime lover. Sold by Good Smile Company (Max Factory), from the well-known anime series comes a Nendoroid of cute and clumsy demon Elsie, who has arrive at the human world to catch the runaway spirits! You can bring out some different aspects from Elsie’s character and personality by using different expression that has been already included with this product! She also includes additional set of arms and legs based on the scenes where she’s waving them about just like mad! She also comes with her fluffy pink raiment around her neck, the broom, and the jar to seal away the runaway spirits! Lots of additional parts to recreate all your preferred scenes from the anime series. She really comes with 3 different facial expression which each one is wonderful. She can be displayed as a cheery person, crybaby, and even surprised one. 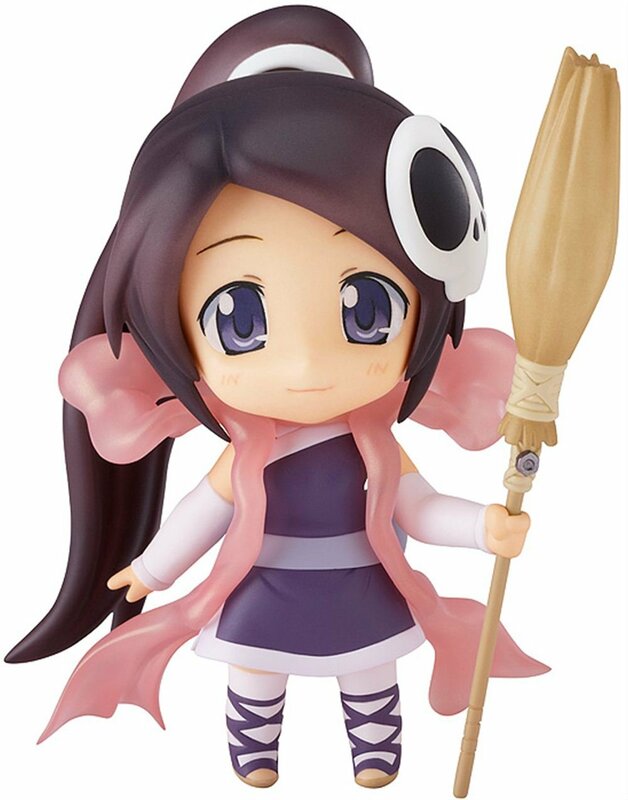 She’s a must buy for any collector and both anime and Elsie lovers. 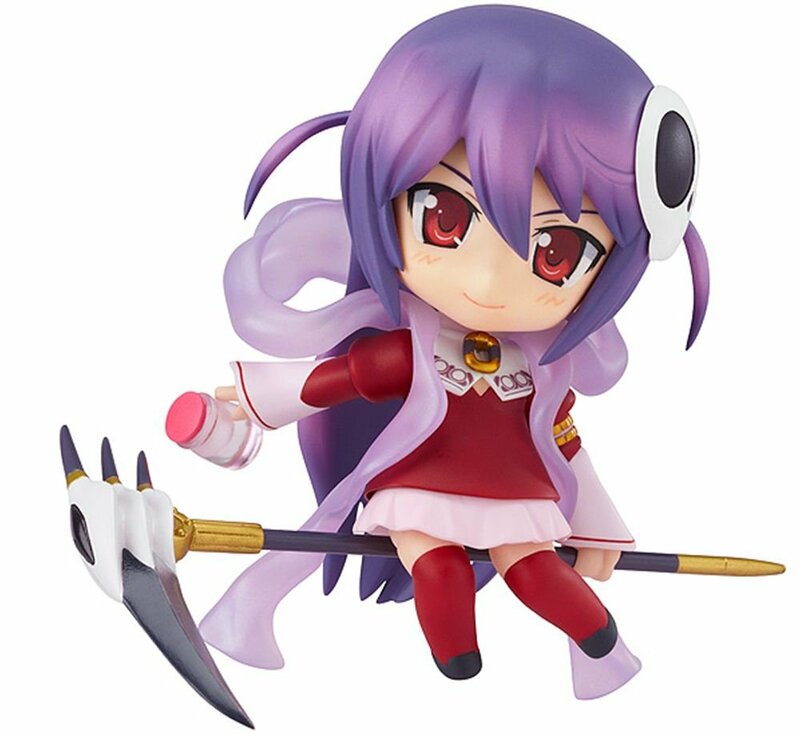 Still sold by Good Smile Company (Max Factory), from the anime series “Kaminomi” comes a Nendoroid of the smart and beautiful – even though somewhat stubborn – demon Haqua! The nendoroid comes with three different facial expressions including an upset, a standard, and surprised expression. She also includes the scythe that proves she managed to graduate from demon academy with the best grades, her purple raiment around her neck and a jar to seal away the bad runaway spirits. Make sure you display her with Elsie nendoroid and recreate your favorite scenes from the series. Haqua can be an interesting addiction to your figure and nendoroid collection. She comes with all her parts, but her color can be a tad bit darker and you can surely notice her from distance. Apart fromt hat, the paint and sculpt are high quality. This Haqua nendoroid is wondeful! You will love the detail on this nendoroid and the truth that it’s a nendoroid makes it that much even more fantastic! It’s a must buy if you are both anime and manga series fans! !